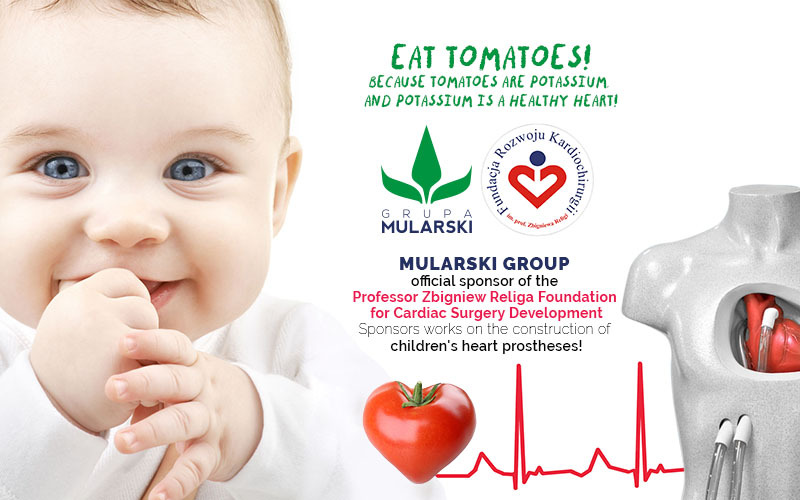 Since June 1, our company is the official sponsor of the Professor Zbigniew Religa Foundation for the Development of Cardiac Surgery http://frk.pl . We will support work on the construction of children’s heart prostheses, and June 1 is Children’s Day … so it is the perfect time to share with you this important information! Eat tomatoes! Because the tomatoes are potassium, and potassium is a healthy heart!